Yamaha Parts | FS1 DT RD TY & More. 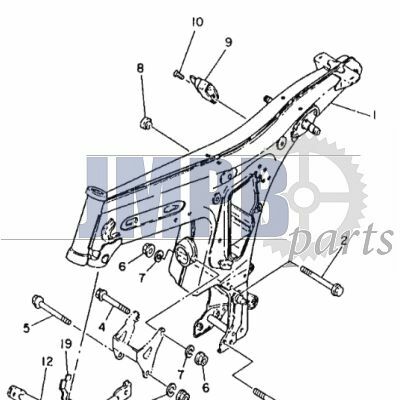 Below you can make a selection from the various parts that we sell for the Yamaha. We have original and remake parts for your Yamaha FS1, RD, DT & TY. Yamaha motorcycles have been a regular sight seen in the Dutch streets. A whole generation grew up with the iconical models such as the FS1, RD, DT and the TY. A part of history would seem like it’s on it’s place! A typical classis and meanwhile a true collector’s item. The in 1969 introduced and since then locked in our collective minds. Fans of this type of Yamaha fell for the 49cc single-cylinder air-cooled two-stroke moped switch with 4 gears. The frame was spray painted in the color of the bike. Yamaha drivers were also widely recognized because of the white stripes found on the gas tank. The typical treadles (mandatory in the Netherlands) were designed by the Dutchman Henk Dullens were typically the FS1. De FS1 has been production in Japan for decades, only the four-stroked variant. The RD is an iconic motorcycle that has been produced by Yamaha between 1974 and 1984. It was available in three variants: RD 50 (DX), RD 50 M and RD 50 MX. All were a air-cooled single-cylinder two-stroked moped. As an oldtimer there are beginning to be very rare. Yamaha had a scoop in the 60s with the DT, a series of off-road motorcycles from 50 to 400cc. Despite the poor sales of this bike, potential was seen in the bikes in the United States. The first DT, the DT-1 came in 1968. Yamaha essentially created a new market segment, although this DT-1, with almost 250cc, is not really an oldtimer. This is the case for the Yamaha DT50M, this 50cc model was introduced in 1978 and was targeted at the younger generation. The Trial Yamaha’s is in fact a revolution of the DT. The first model appeared in Europe for the first time in 1968. This actually was another 250 DT, but the first project was so successful that they decided to build a ‘real’ TY cross motorcycle. In 1975 appeared a TY motorcycle in 50cc and 80cc. The difference was not only in the engineering (4 or 5bins, different compression ratio, tires and carburetor) but also in visual differences like different pedals, saddle and lightning. All components for these and other vintage Yamaha’s can be found at JMPB. We’ll make sure that your moped keeps driving.